Farmers have been using chemicals to treat their crops for years. Plant and crop protection products alone are still a $32 billion global industry. But thanks to recent public outcry regarding food safety, governments around the world have begun instituting tougher standards surrounding chemicals and their use. While many agricultural producers are still using chemical ingredients, a growing number of farmers are turning to organic fertilizers. The main difference between chemical and organic fertilizers is how the ingredients in each fertilizer are processed. Chemical and organic fertilizers may be made up of the same nutrients, but in chemical fertilizers, those nutrients may have been processed or refined. The nutrients in organic fertilizers remain in their natural forms and are minimally processed. Many times, organic fertilizers are made from animal waste or naturally decaying minerals, such as manure and compost. While both types of fertilizers will work to at least temporarily increase crop yields, there are undeniable benefits to using organic fertilizers compared to other forms. Here are four reasons anyone in the agriculture industry should consider using organic fertilizers with their crops. If we tested chemical and organic fertilizers side by side in a blind crop test using the same soil and environmental conditions, the difference in growth would probably be negligible. But the more we run the test, we would probably begin to see better crop yields in our sample that uses organic fertilizers. The reason for this is fairly simple – chemical fertilizers can deplete soil over time. Certain types of chemical fertilizers have been found to lower the soil pH, increasing the acidity in the ground, killing off some vital nutrients, and creating less-than-ideal environment for future crop growth. Where chemical fertilizers can strip soil of some of its necessary nutrients, organic fertilizers can actually add those nutrients back into the ground. This works by using nutrients in their natural state that are already found in the soil and proven to aid in crop growth. Using organic fertilizers simply replenishes the nutrients that may be used by crops during their lifecycle. This means farmers are able to harvest the same plot of land for longer before it is no longer fertile. This is a key step in creating a sustainable agriculture system and improves the chances of a region becoming self-sufficient. Organic fertilizers also tend to be safer for the ecosystem and those that live and work in it. As we’ve mentioned, organic fertilizers do not include anything that isn’t already naturally occurring in the environment. The nutrients and natural additives in organic fertilizer are also fully biodegradable and completely environmentally friendly. On the other hand, chemical fertilizers may contain unnatural versions of various nutrients, which in an altered state may be harmful to the soil, nearby water sources, and the crops themselves. When we go grocery-shopping, we all probably notice that organic produce tends to cost a little more than its standard replacement, so it’s natural to think the same about organic fertilizers. However, this couldn’t be further from the truth. In many cases, forms of organic fertilizers can be created on-site. If farms have livestock, farmers already have access to a large quantity of animal waste, one of the most popular types of organic fertilizer. In fact, 67 percent of all organic farms in the United States use green or animal manures as their fertilizer. Composting is another popular option and comes with its own set of benefits, including recycling and reducing waste in landfills. Plus, after a few years, farmers would likely need to use less organic fertilizer on their land compared to chemical alternatives because the organic fertilizer has been constantly restoring nutrients into the soil. Less fertilizer use means less fertilizer is needed and less time spent applying it. And we all know that time is money. The benefits of using organic fertilizers are fairly indisputable. 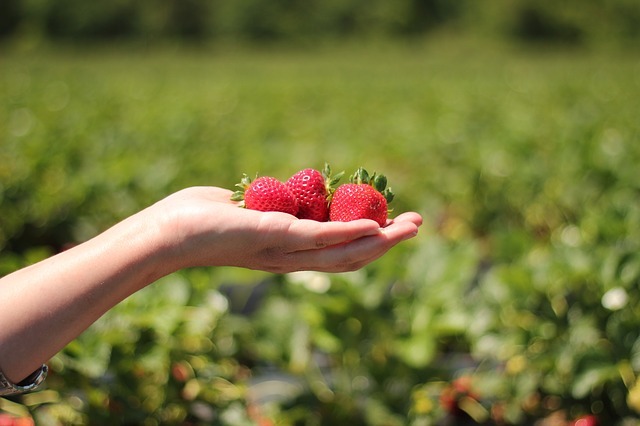 From increased crop production to environmental benefits and cost savings compared to traditional fertilizers, it simply makes sense for farmers to make the switch to organic. If you’re still not sold, just try it out for a few years on a small portion of your land. We know you won’t be disappointed. Are you looking for organic fertilizers? Contact us we can provide the best solutions for your crop.